NEWARK, Del. (WPVI) -- Police have charged a Newark woman with falsely claiming she had been kidnapped and robbed, following three similar incidents being investigated by authorities. 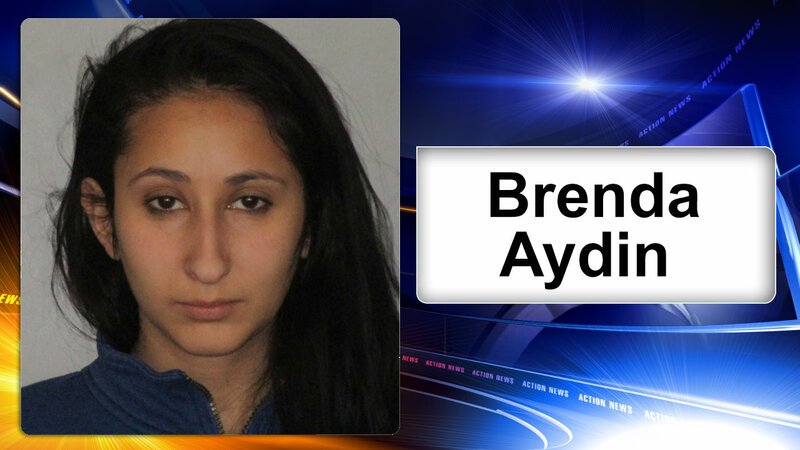 Police say 23-year-old Brenda Aydin was charged Tuesday with falsely reporting an incident. She was arraigned and released on $500 unsecured bond. Aydin claimed that a man with an undetermined accent approached her Monday night in Christina Mill apartment complex parking lot, forced into her apartment with a weapon to her back, stole jewelry from her and fled. New Castle County police have said they believe a man who tried to rob and kidnap a woman at the Bluffs Apartments in Newark last week is the same man who kidnapped and robbed women at the Top of the Hill and Arundel Apartments in separate incidents last month.